Influencer marketing has long been a part of beauty and cosmetics marketers’ playbooks – but faced with the dynamic proliferation of digital channels and increasing complexities of social marketing, it has become increasingly difficult to scale using traditional tactics. 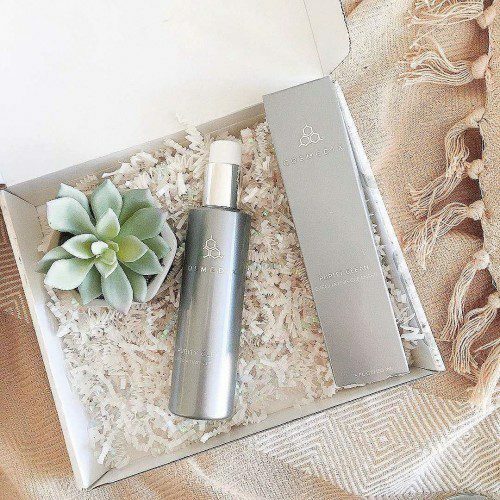 COSMEDIX, the pioneer of clean, luxury cosmeceutical skincare, wanted to find a way to bring its consumer community together while effectively raising brand awareness, driving purchases and making its customer experience more rewarding, at scale. COSMEDIX saw the opportunity to not only create its own social community, but to also leverage that community as the foundation to deliver a new, personalized consumer experience that integrates the multi-dimensions of influencer marketing and social proof that consumers trust today. The best influencer endorsement today the is one that comes from your own customers. 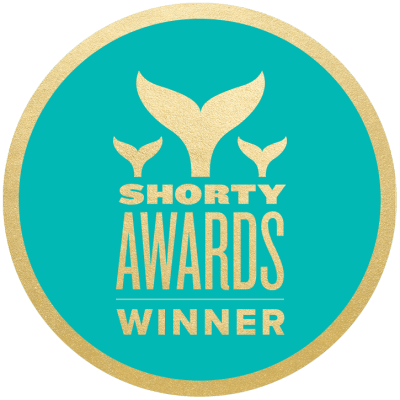 And an influential consumer can take different forms – ranging from brand advocates with a few hundred friends or followers to expert reviewers and social media influencers – those most often associated with influencer marketing (i.e. those with a lot of fans and followers). The content they create can also take different dimensions of social proof – from Instagram photos to long form reviews or consumer insight surveys. The combinations are infinite. But when it comes to influencer marketing, most marketers today only focus on a single influence persona, such as celebrities, bloggers, micro-influencers, advocates or referrers – rarely considering what happens when all these dimensions of influence are brought together and executed as an integrated, unified strategy. COSMEDIX decided to flip the traditional influencer model on its head. 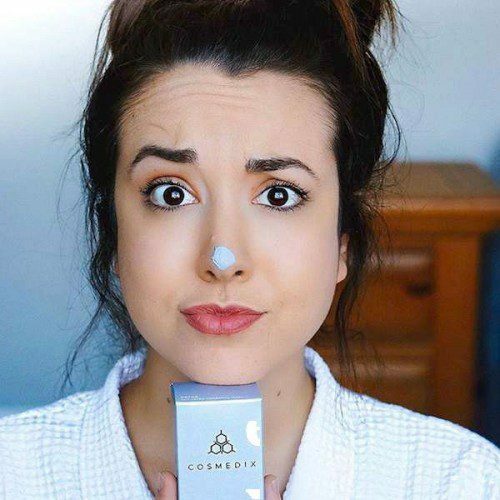 With zero spend on media or influencer activations, the COSMEDIX Crowd, comprised of micro-influencers, advocates, referrers, and loyalists, powered three social media campaigns that included original Instagram content, advocate amplification, and a referral promotion that generated over 500% incremental revenue. The first community of its kind powered by Mavrck’s Influence Plugin, the COSMEDIX Crowd was embedded on COSMEDIX.com to deliver a seamless user experience. The integrated technology also enabled COSMEDIX to automatically identify influential consumers in the moment of interaction with its e-commerce site and dynamically deliver a relevant, personalized content based on their social influence. 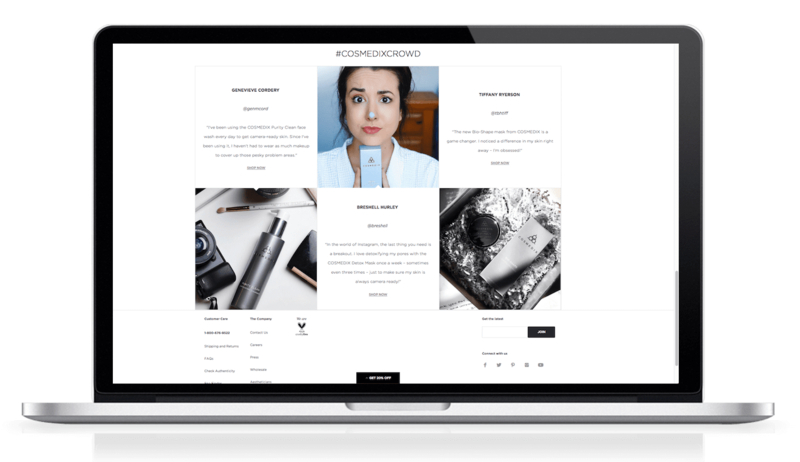 Influencer-generated content from the campaigns were also repurposed on owned social channels and across COSMEDIX.com that allowed consumers to shop the products featured and deliver a cohesive experience across touchpoints. COSMEDIX used Mavrck’s influencer marketing technology to identify and recruit relevant micro-influencers, advocates, referrers, and loyalists to the COSMEDIX Crowd community and activate them across three core content use cases: to create original content on Instagram that could be repurposed across digital touchpoints; to amplify COSMEDIX brand content on social; and to submit product reviews. Mavrck’s influencer marketing technology was then embedded on COSMEDIX.com to power COSMEDIX Crowd, as well as to dynamically interact with and engage existing website visitors and online shoppers based on their social influence. 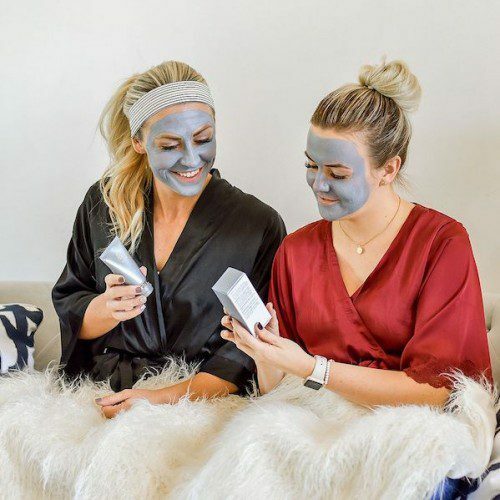 COSMEDIX identified, recruited and curated more than 80 micro-influencers to collaborate and create Instagram content, activated across three different campaigns highlighting key product lines. COSMEDIX identified and activated COSMEDIX Crowd advocates and referrers on demand to share relevant blog posts on Facebook, amplify micro-influencer generated content on Instagram. COSMEDIX Crowd advocates and referrers we also proved a dynamically generated, always-on referral link unique to that member to share offers and promotions. Relevant COSMEDIX Crowd influencers, advocates, referrers and loyalists were activated to submit product reviews and feedback across key products and categories. The reviews were then repurposed on COSMEDIX.com and linked to product pages, enabling online consumers to purchase the products featured.